CMSE Consultancy (part of the Chris Mee Group) is a leading provider of safety statement services since 1996. We have offices in Dublin and Cork. CMSE Consultancy have extensive experience in all sectors. By choosing CMSE Consultancy you are assured of a top quality service. 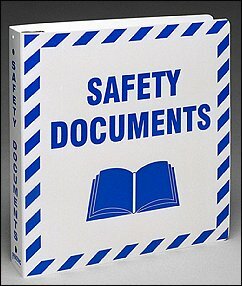 Every company are legally required to have a safety statement. They are a “snapshot” of how you manage safety in your company and should also include a list of hazards and associated risk assessments specific to your organisation. At CMSE Consultancy we guarantee you a top quality, legally compliant Safety Statement. Don’t buy a “cut and paste” document supplied by some other providers. They simply change the name on the top of the document and that does NOT comply with the law. Under Section 20 of Ireland`s Safety, Health and Welfare at Work Act 2005, all employers must prepare a written Safety Statement for their company. This document must be specific to your company and must be reviewed at least annually. The top executive in the company must sign the policy section, by law. We provide a customised service. Including visiting your premises to review your location, operations, equipment, for instance. Because we visit your work location we can identify the potential hazards and risks apparent on the day of the visit. Some companies do not visit your location. The hazards identified during our visit are then risk assessed and appropriate control measures are identified. We also discuss your Safety Management systems with you. Our experienced safety consultants will then prepare a Safety Statement document that is specific to you. As a result, it will be legally compliant and effective in helping you document how you manage safety in your company. Involve management up to the highest level in a clear programme of action, for instance. That health and safety are assigned competent resources.